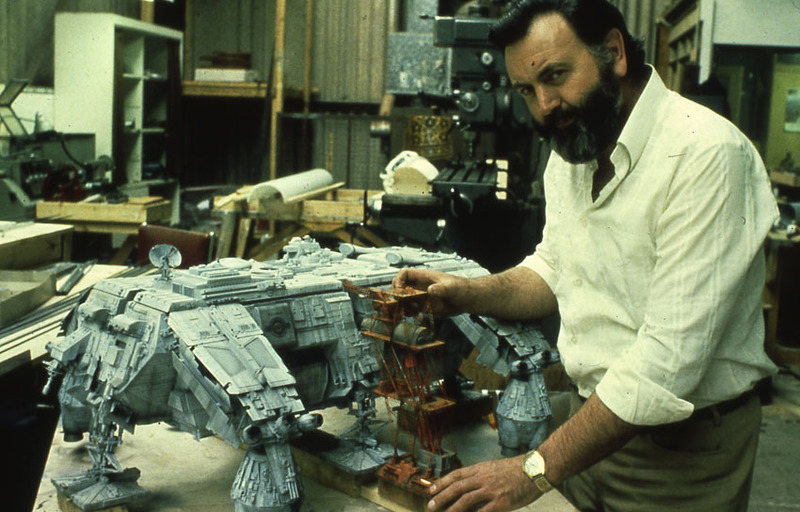 So, as Graham said on his opening post of the Nostromo thread, here is "a place for general discussion and ideas to be thrown around, as well as reference material, concepts, sketches and photos, not just on the models, but also" - "ship layout and the like." If you have any beans related to this ship, this is the place to spill them ! It's true that just after seeing Alien and then looking at the design of Outland, one can make the link between some of the stuff seen on the shuttle (radar at the front and lots of greeblies everywhere else). Let's be honest, this film is far from being perfect, but its look and production design directly connect it to the A L I E N world. 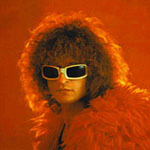 ... and that leads me to talk about the spacesuits ! I totaly agree with you, there's something reminiscent of A L I E N in these. We'll have to open a thread devoted to these asap ! OUTLAND definitely connects to A L I E N (for its design) and BLADE RUNNER (for the idea of Off-World colonies) in my book. It's going to be interesting to talk about this and link it to Sir Rid's "2 films universe". That's the ship with the blinky light, right? Yup, that's the one — the one that carries the assassin team to Io. I have to go dig out my Cinefex magazine with Outland in it. I also have the Outland screenplay, picture book. I love the look of that movie. Raw and industrial. Yes you're right, how did I forget that !!! It looks like it's as HUGE as the Nostromo !!! Several years ago Martin Bower discovered the model sitting somewhere in a U.K. studio (don't remember which one) and in desperate need of repair...which he did (can be viewed on Martin's web site). It's good that it's now into safe hands and preserved for others to see. URL not working for me. If I'm not mistaken, Martin was also mentioning that one day he found the Green House Building smashed up; the cleaners had knocked it on the ground during the cleaning nigh shift . He had to salvage and mainly re-build almost everything in record time to make sure it was ready for the shooting schedule. I also recall that after he (and Bill Pearson) had painfully airbrushed the whole refinery with tons of weathering effects, director Peter Hyams wasn't happy with the end result on screen... To have the kind of light effect he wanted on the whole thing he asked the refinery to be repainted in... white ! The guys in charge of this task used cans and ruined a large part of the intricate detailing Martin & Pearson had put in their model ! Fred, thanks for posting that photo of the supply shuttle, I've always loved this film.......Outland! great design, effects and performances, one of those underated 80's movies that re-invigorated Sean Connerys career! This film in my opinion could easily occupy the same universe as Alien and Blade Runner, always thought that Brett and Parker could have fitted into this movie see them ogling the stripppers in the mining facilities bar?.......... according to the crew dossier one of Bretts past jobs was on a base on Titan, could have looked very similar to Con-Am 27? The design of the shuttle inspired me as much as the nostromo did in my formative years, although it was difficult to see the intricate detail on the shuttle in the film, and there was a lack of reference material and photos of this ship at the time. Outland builds up the tension from the start, the opening sequence still has impact, the miner going crazy and slashing his suit open and the explosive outcome of his actions!......the gory airlock sequence with the guy descending minus his pressure suit (the airlock/lift design was how I imagined the airlock worked on the nostromo) and the thrilling shuttle countdown arrival sequence.......brilliant stuff! You're welcome nex ! Yes, the design of this one was great, very close to A L I E N but great nonetheless ! I also love the social dimension of the story, with these long term voluntaries for hard mining work on a harsh remote world exploited by huge corporations such as the Con-Am. Oh yes, I LOVE this idea ! Parker would have been at ease in the bar among strippers and prostitutes, and I saw a mobile very similar to the ones seen in the Nostromo's "destruction room" in one of the workers' "rest cell". Also: anybody got an idea where the flight control deck might be? 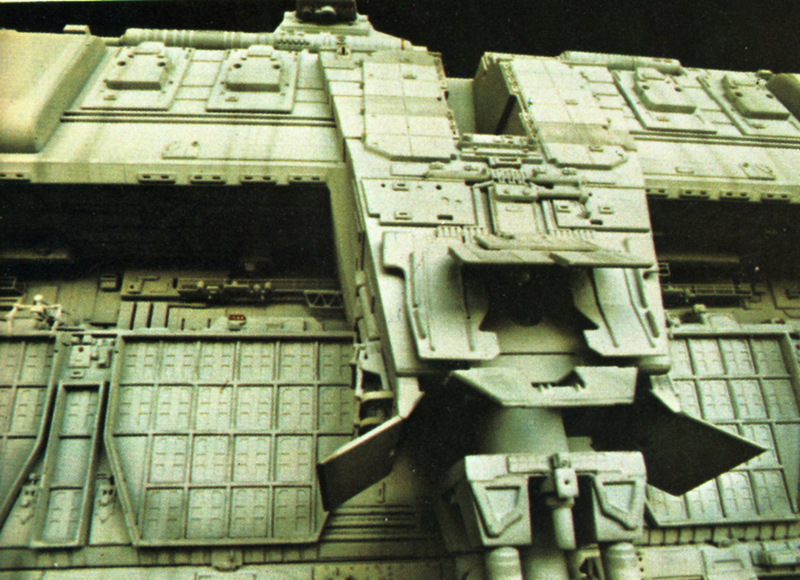 Since the ship flies on automatics (indicated in the film), perhaps its buried inside the hull, or maybe there are bay windows like on the Nostromo? I never liked a ship without a flight deck...but for this shuttle, I'll make an exception ...there's no window nor flight deck on that one I'm afraid: they sticked to the story of having that baby controled by the main ship. I totaly agree with you here. We could add that it's almost used as a kind of "space elevator". Its only purpose is to deliver cargo loads between space and zero-atmosphere (or low atmosphere) worlds. Did you also notice the 3 little engines above each huge thruster pods ? These look like brake / directional / positioning thrusters, and in my opinion they could be very useful to dock a space station. BTW, here is a rendition I did of what I believe the Felli Mei shuttle should look like in space flight mode... Something very close to the Aries shuttle in 2001 : A Space Odyssey.